Upscale southern Italian restaurant serving from Sunday Brunch, lunch, dinner, kid, desert & catering menus. 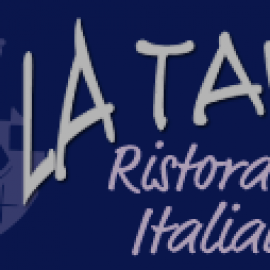 Authentic Italian cuisine served for lunch & dinner with an extensive wine list. Catering & Carry Out are also available. Full Catering and Banquet Space with weekend buffet every saturday and sunday. Large space with stage area available for weddings, parties, etc. Fresh venetian cuisine with 100% house made pasta, sauces, desserts and farm to table vegetables. Comfortable, yet Sophisticated. Savor the perfectly portioned and exquisitely flavored pastas, pizzas, meats and seafood dishes of Carpaccio Tuscan Kitchen. Located in the Eastport Shopping Center Annapolis, MD 21401 - Sammy's Italian Pizza Kitchen is a known for awesome Pizza, Subs, and Italian Cuisine.